Fall foliage season is here. The trees are ablaze with color up north. Not peak just yet. Next week for sure. Frost will soon sparkle the ridges of ski country, then to be quickly followed, we hope, with a splendid cloak of fluffy snow. Down along the coast a hint of fall foliage color is in the trees. Just a hint. The nearby ocean stretches the warmth, delaying the debut of color. Because of that, I think we along the coast tend to forget winter comes sooner a few hundred miles north. 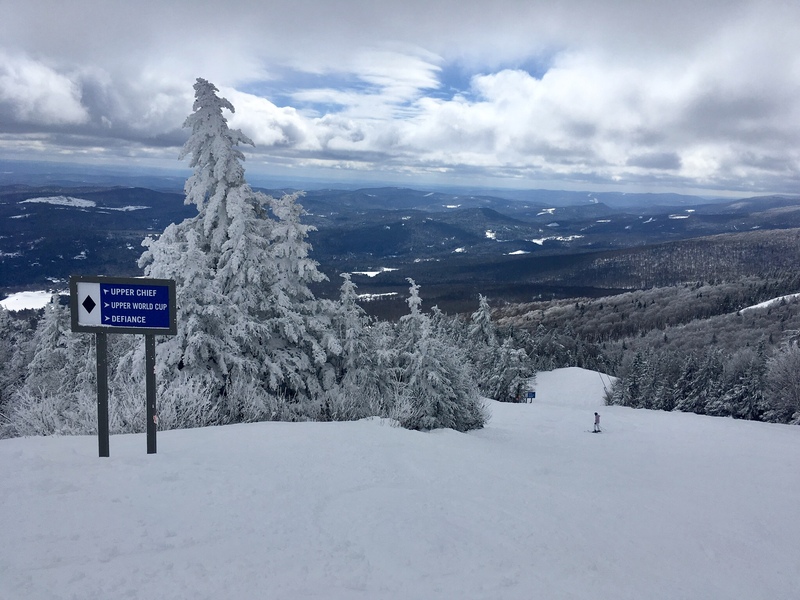 While we are still raking leaves in late November, the slopes up north are white—at least in places—and the lifts are spinning. Now is the time to get your head in the game. The ski and ride game. Avie’s Ski / Sports has magically transformed, like foliage to follow, from summer to winter. The North Face winter attire is festooned along the walls. Smartwool socks are walking in the door and gaining a foothold. Skis bristle atop their ledge. A panorama of snowboards draw the eye. The North Face is at Avie’s Ski / Sports! 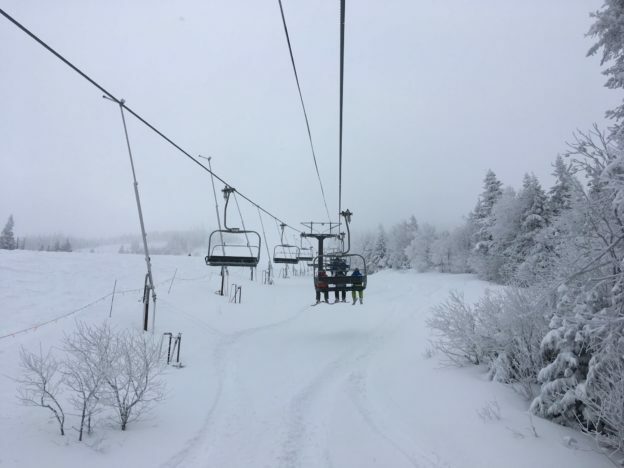 Yes, Avie’s Ski / Sports is filling to the brim with winter gear for the 2018 – 2019 season. And so much NEW stuff to look over. The North Face line of apparel has greatly expanded. More styles. Lots more styles. More colors. Lots more colors. Now is a good time to stop in the Avie’s Ski / Sports to check out the new inventory. In fact, now is a great time. Great because the selection, unlike the foliage, is near its peak. More inventory is on its way for sure. Ski poles, gloves, more skis and snowboards, more socks and hats. But The North Face has made its presence in full force. Now is the best time to find the style, color and size of the ski parka, ski pants, or stylish around-town jacket that you want—need?—for the upcoming fall and winter season. Like the foliage, the peak only lasts for so long. Then it wanes. On the bright side, Avie’s can restock before next spring blossoms. But what can be refilled is limited to what the manufacturers have in stock. Sadly, as time goes on even the brand makers run shy of popular styles, colors, and sizes. Time and tide wait for no man, or woman. Our time is slipping, slowly, into the time of snow. Now is a good time to embrace the future. That future is only a few short months away. Then it truly will be…Game On! This entry was posted in Uncategorized on September 29, 2018 by Alan Desbonnet. Though not considered winter snow sports, our next door neighbor built the Taj Mahal of chicken coops last season. Complete with multi-colored lighting, flowers, and other enticing egg-laying decor. Secretly, I think the Taj Mahal coop is equipped with air conditioning and a home theater. The chickens love it, and lay dozens upon dozens of eggs. And then for no apparent reason, egg production slowed. I thought it might be the rusty chain link fence surrounding my wood pile. It did look pretty shabby all of a sudden. The ripped and tattered blue tarp on top didn’t add much either. Maybe the horrid sight depressed the hens. I did need wood for the coming winter. 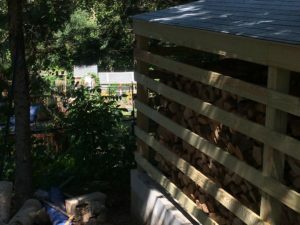 So I decided to upgrade rusty fence for a classy and classic lean-to-style woodshed. I hoped that would put “The Girls,” as neighbor Lisa refers to them, back on the nest. The new shed looks great with the Taj Mahal chicken coop in the background. And it looks better still with a couple cords of split, seasoned hardwood in it. I’m about set for winter. Are you? Farmer’s Almanac is saying that for New England, expect snow. And lots of it. Their predictions are for greater amounts of snow than is usual. They are also predicting that significant snow will be seen by, and in, December. To be sure the snow sticks around, Farmer’s predicts colder than normal temperatures throughout the season. This is a great prediction for all us winter snow sports enthusiasts. Oh yeah, I’m all for that! It would be great to get in a half dozen or more days of skiing before Santa slides down the chimney. And I would be thrilled to see abundant snow continue all the way through until late March. I’ll even wish for the below normal cold. Provided that doesn’t mean the marrow-freezing cold we experienced last season between end of December and mid-January. That kind of cold put the damper on winter snow sports. It was so cold even ski lifts became belligerent, with many refusing to spin! No thank you. Keep that kind of cold up at the North Pole for the reindeer to enjoy. So, are you ready? Ha ha. I know you aren’t. Temperatures have been floating into the 90s, even along the shore. So I know the only cold you are thinking about is the rapidly melting ice diluting your Dell’s. The days however, have grown noticeably shorter. And the sun, while still hot, doesn’t carry the same fiery intensity it did a month ago. Yellow school buses have replaced out-of-state license plates. But the most telling change, is the morning bird song having been replaced by the evening chorus now provided by the End of Summer Insect Ensemble. 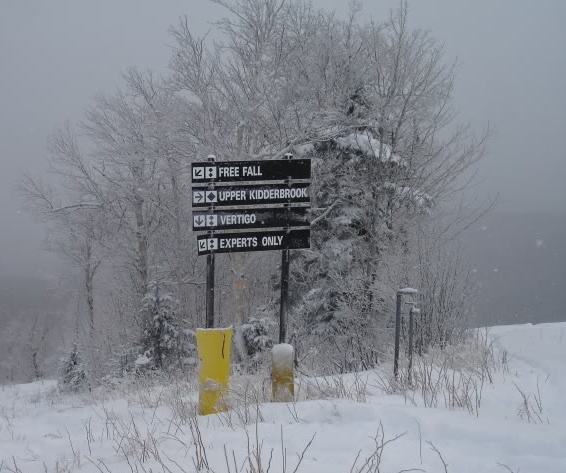 Winter snow sports enthusiasts take note! This is not a cause for sadness! 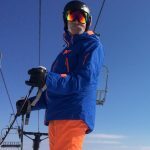 New ski and ride gear is beginning to show up at Avie’s Ski / Sports. While still in boxes, it won’t be long before the new “winter crop” of The North Face, Smartwool, and other apparel hangs from the racks. A rainbow will splash across the walls of the shop, made by the colors of this years bounty of new skis and snowboards, boots and poles. While still it’s too early in the fall season to not stop in and pick up a new stand up paddle board—fall is perfect paddling weather—it’s not too early to start thinking about ski and ride season. Expect to see some twin tips and race skis available. There will be new brands, as well as the tried and true. While it’s always exciting to ogle the new skis and boards of the season, the real change up will be found in the ski boot section. Recent changes throughout the industry will be bringing along some great opportunities for your feet, especially those of you with wider feet. 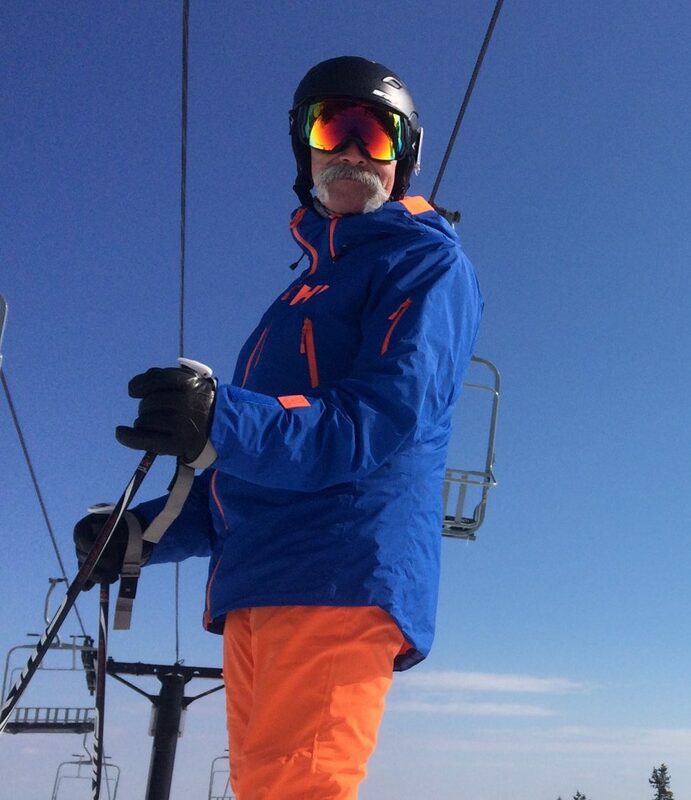 Stay tuned to the Avie’s Ski / Sports Blog page as we help you prep for the upcoming season. New gear. New brands. New styles. And a new ski boot universe. Oh yeah, the shed upgrade was well received. “The Girls” are back to filling the Taj Mahal to overflowing. This entry was posted in Gear Knowledge, Store Events, Uncategorized on September 4, 2018 by Alan Desbonnet. Ted thinks I’m nuts, though I’m not so sure he’s right. I start thinking about skiing in July, and I readily admit to that. And the fever builds over the long months of heat and humidity, though that doesn’t wilt my resolve that snow will come. 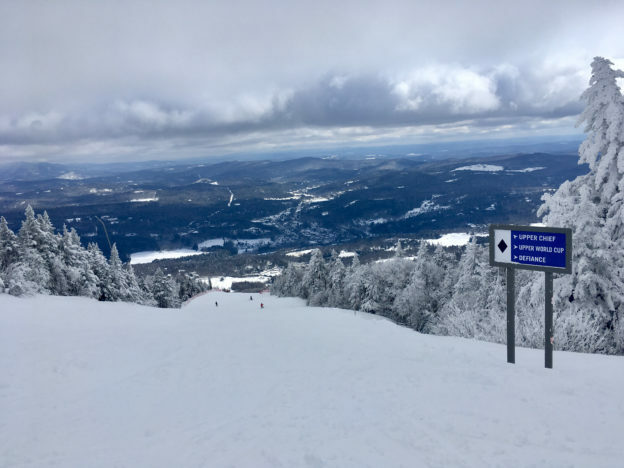 This entry was posted in Uncategorized and tagged ski on August 21, 2017 by Alan Desbonnet. 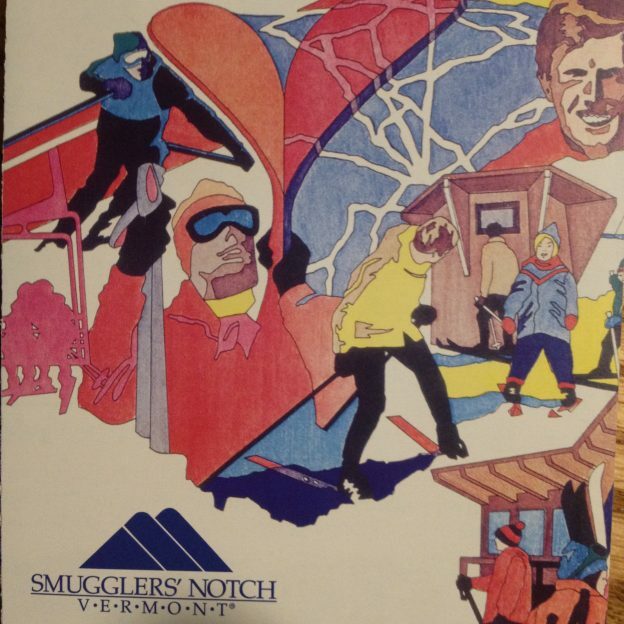 Spent Monday on the slopes at Smuggler’s Notch in upper Vermont. 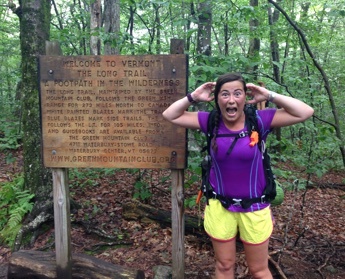 This was my first time on this mountain, though likely not my last. The view from the top of Madonna Mountain is worth the drive. The skiing is too. This entry was posted in Uncategorized on March 6, 2017 by Alan Desbonnet.